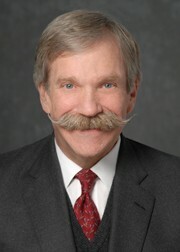 Doug Adler has more than 35 years legal experience in both public service and private practice. He has significant expertise in the areas of project and structured finance, aviation finance, and maritime finance and has closed transactions in more than 60 countries. Prior to his appointment as Deputy General Counsel, Mr. Adler supervised the structuring and closing of more than $30 billion of domestic and cross-border financings. These included the largest hard currency deal to take place in Pakistan ($1.4 billion order for Boeing aircraft by its flag carrier PIA), an innovative $358 million financing that was complemented by an Indian Rupee securitization, and multi-Export Credit Agency support for a complex private joint venture project launched in the PRC ($4.2 billion petrochemical plant in Guangdong Province). When in private practice, he represented an international joint venture in the design, construction, and operation of a modern container terminal in the port of Karachi. The project was financed with several currencies, including an Islamic-law compliant Pakistan Rupee component. Since 2001, he has served as an Adjunct Associate Professor at the Washington College of Law of the American University, where he teaches project and structured finance. Mr. Adler was also a member of the Project Finance Committee of the Association of the Bar of the City of New York (2001– 2009). Mr. Adler was awarded a B.A. from The George Washington University. He was the first to be recognized as the Outstanding Graduating Student by the Law School Alumni Association when he received his J.D. from The Catholic University of America.